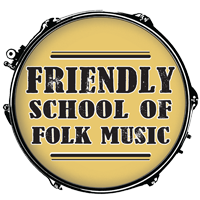 The Friendly beginning guitar class brings people together who are new to the guitar to develop basic guitar and musicianship skills in a fun social setting. The focus of the class is on making basic open chords and strumming the guitar, playing and singing songs together, and becoming familiar with general musical concepts. This is the first class in Friendly's three-class guitar course and can be repeated until you are ready for the advanced beginner class.